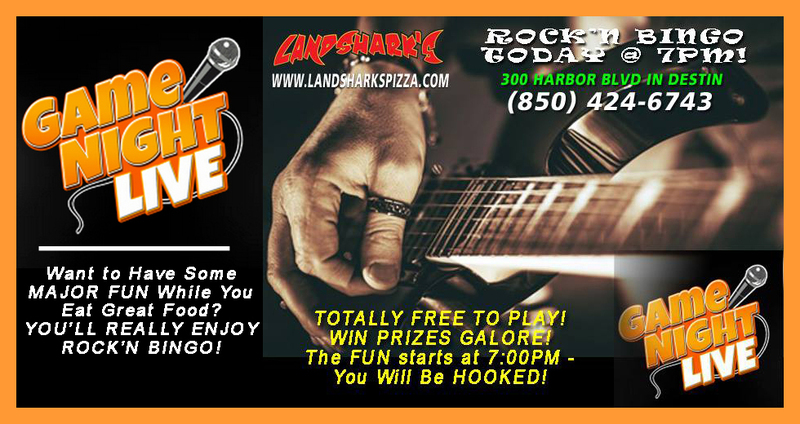 / Best Pizza In Destin Florida / Enjoy Landshark’s Tuesday MARGARITA & CORONA SPECIALS with ROCK’N BINGO FUN at 7PM! Enjoy Landshark’s Tuesday MARGARITA & CORONA SPECIALS with ROCK’N BINGO FUN at 7PM! Stay refreshed & beat the Destin heat with Landshark’s MARGARITA & CORONA SPECIALS: $2.50 Coronas & $4 House Margaritas! 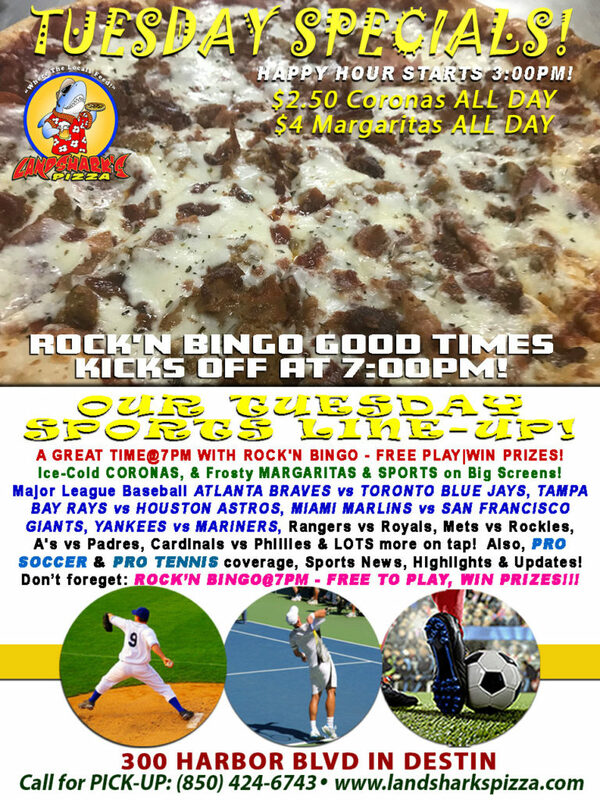 plus we ramp up the fun with ROCK’N BINGO, MLB, Soccer, Tennis & other sports action! WANT TO FEEL LIKE A SUPERSTAR – NOTHING SAYS ‘I’M A WINNER’ LIKE BINGO, BABY! Get to your feet to the sound of thundering applause from admiring competitors as you take your Rock’n Bingo card up to collect your envy-inducing prizes! Get the good times crackin’ at 7:00PM playing ROCK’N BINGO! FREE TO PLAY, & WIN FREE PRIZES! 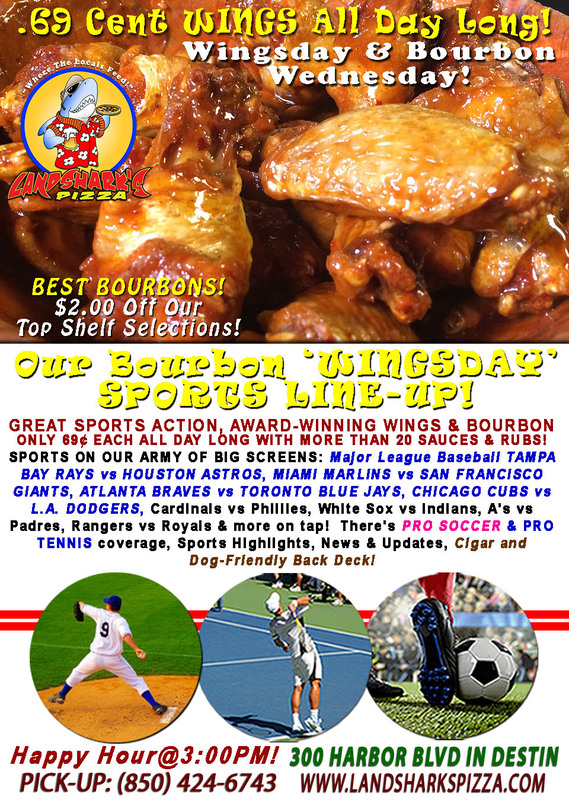 HOT SPORTS ON OUR ARMY OF BIG SCREENS – Major League Baseball ATLANTA BRAVES vs TORONTO BLUE JAYS, RAYS vs ASTROS, MARLINS vs GIANTS, YANKEES vs MARINERS, Rangers vs Royals, Mets vs Rockies, A’s vs Padres, Cardinals vs Phillies & LOTS more on tap! Also, PRO SOCCER & PRO TENNIS coverage along with Sports Highlights, Sports News & Updates! 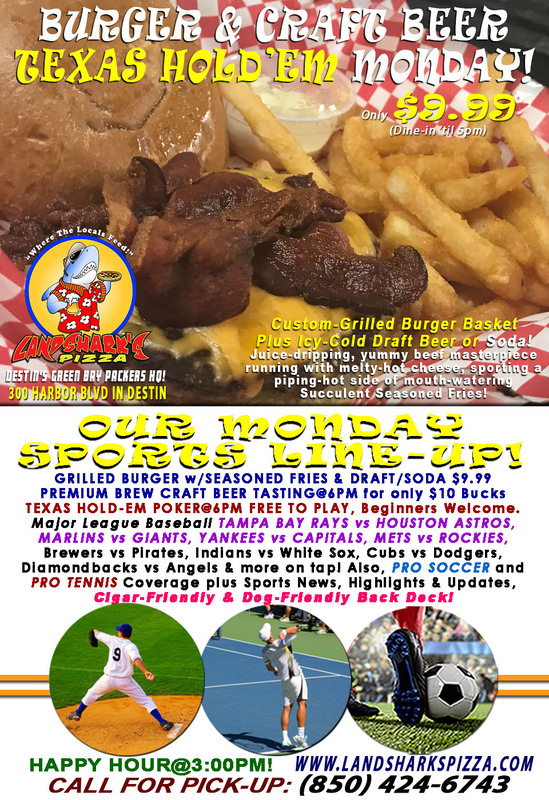 Previous Post: « Burger Monday Beef & Brewskie $9.99 & RAYS vs ASTROS, MARLINS vs GIANTS! BEER TASTING & TEXAS HOLD’EM POKER@6PM!